•	Make sure to take time to sign up for the free email newsletter promoted by Third Love. This free program entitles members to exclusive deals, discounts, and other coupon codes and special offers that will not be made available anywhere else. Many of these deals are time sensitive in nature, and some of them are going to be for or from third party partner websites. •	Visitors to the Third Love website will be able to take advantage of special sales offers good for up to 40% off for more just by visiting the SALE section of the website. •	Check out exclusive deals, sometimes good for up to 75% off or more, in the CLEARANCE section. 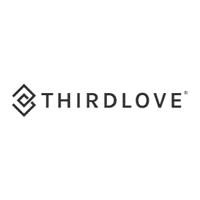 Third Love gives customers instant access to comfortable bras with customized fits and styles. Their 24/7 classic bra is reinforced with luscious, soft memory foam designed to curtail itself to the body’s natural contours. With precision and detail, this bra is a sartorial piece for customers seeking comfort and fit. These bra styles are suited to unique breast shapes, including round, east-west, side set, tear drop, slender, asymmetric, bell shaped, athletic and relaxed. This means that every body type can profit from the luxury of this bra model. This company offers additional bra styles (e.g. push-ups), along with undergarments, lingerie and more. For most up to date offers check out Thirdlove on Facebook and Twitter or contact Thirdlove Support for any questions.